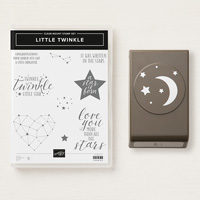 Little Twinkle Wood-Mount Bundle | Moon & Stars | Stampin' Up! 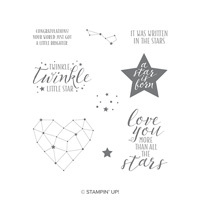 Let the stars in your life shine bright with this stamp set. 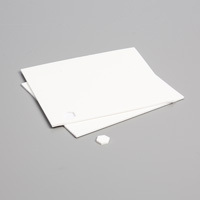 Quickly punch out moon and stars for your projects. 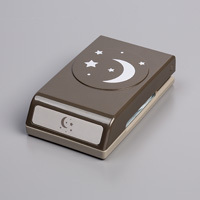 This sweet punch has so many uses: A night sky in a scene with other stamps and Framelits, stars for little card embellishments. The sky is the limit!